It was Jazz Dock 2015.
more » 3. 10. 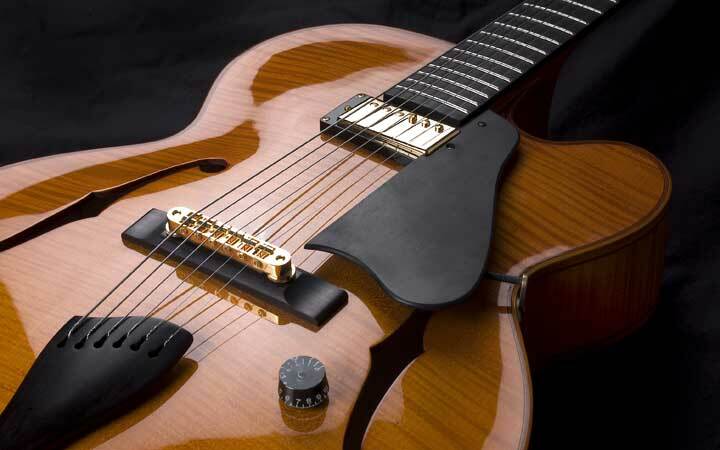 2015 Jazz Dock club - Prochazka Custom Guitars presentation & concerts. more » Project Jack´s Guitar - making guitar in 6 movies. more » Mr. Karel Pazderka - photographer, jazz guitarist, harmonica player and composer will document our work in the future. more » We developed two new models of acoustic guitars - Grand Auditorium and Jumbo Auditorium. In connection with introduced models we changed top plate construction and bracing pattern in all acoustic guitars. Instruments have been tested from spring 2007. New luxury materials are available. Ask us for actual offer of wood, please. more » during guitar festival Open Strings 2008. Open Strings 2008 will take place from 31. 10. to 2. 11. 2008 in Germany Osnabrück. This festival is organized by Peter Finger - famous guitar player and song writer (Akustik Gitarre magazine).